The flash flood has caused first casualty in Bokakhat sub-division of Golaghat district of Assam on Thursday. 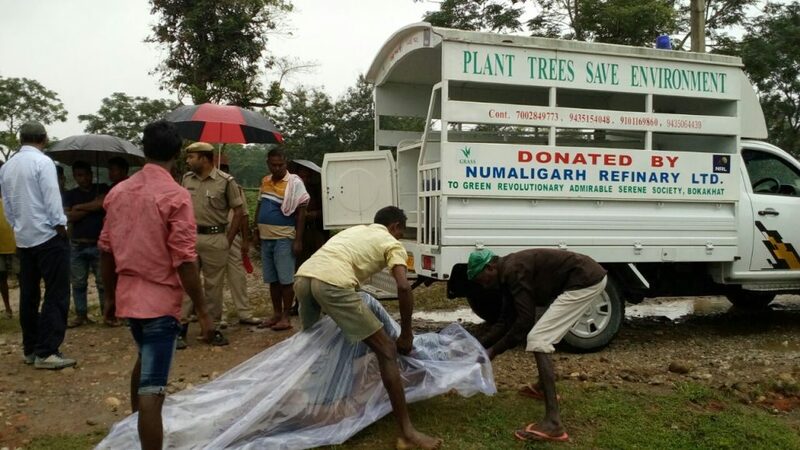 Police have recovered the body of a tea garden watchman at Gyandeep Tea estate in the sub-division. The dead watchman has been identified as Suneel Mura of Kaksang near Karbi Anglong who was working in former Bokakhat legislator Jiten Gogoi’s private tea estate. Locals said that Suneel went missing on Wednesday last when the flash flood hit the area. Suneel is survived by his daughter and son-in-law. Torrential rainfall in many parts of the State has caused flash floods, making people’s lives miserable. As per reports, around 700 metre of the national highway in Lotabari area is submerged which affected road communication with other parts of the State. Many areas are filled with sand and stones that the rain water brought from Karbi hills. Locals alleged that illegal excavation in the Karbi hills is the root cause of the devastation.